Kemba Walker hit nine 3-pointers and scored 37 points, Marvin Williams added 27 points and the Charlotte Hornets beat the Atlanta Hawks 129-120 on Saturday night to snap a two-game skid. ATLANTA (AP) - Jeremy Lamb had 24 points to help the Hornets win for the eighth time in their last 13 games. John Collins had 21 points and Trae Young added 20 for the Hawks. They have lost four of six. Williams and Lamb were a combined 12 for 12 from the field and 6 for 6 on 3s to begin the game. The two and Walker scored 51 points in the first half. Miles Bridges' jumper, his sixth consecutive point, gave the Hornets their biggest lead at 19 in the final minute of the third before Devonte Graham's free throw made it 106-86. The Hornets got off to quick start, going up 23-13 after hitting their first eight field-goal attempts, including five from 3. It was big turnaround from the end of the loss at Dallas earlier in the week when they scored just seven points on their last 14 possessions. Charlotte led 41-25 when Bridges blocked DeAndre' Bembry's dunk attempt, dribbled up the court and passed to Batum, who assisted on Zeller's layup. The Hornets' biggest advantage in the first half was 17 on Walker's 3, but the Hawks pulled within five in the final minute on Taurean Prince's 3. Charlotte stayed in seventh place in the Eastern Conference. They won the season series 3-1. Hornets: G Tony Parker was sidelined by a back strain. He is listed as day-to-day, but coach James Borrego said he should return for the next two games. ... Charlotte improved to 1-8 without Parker. All the losses came on the road. ... Cody Zeller had 10 points and eight rebounds in his first start since Dec. 31. It was Zeller's third game back since he missed 17 games with a broken bone in his shooting hand. 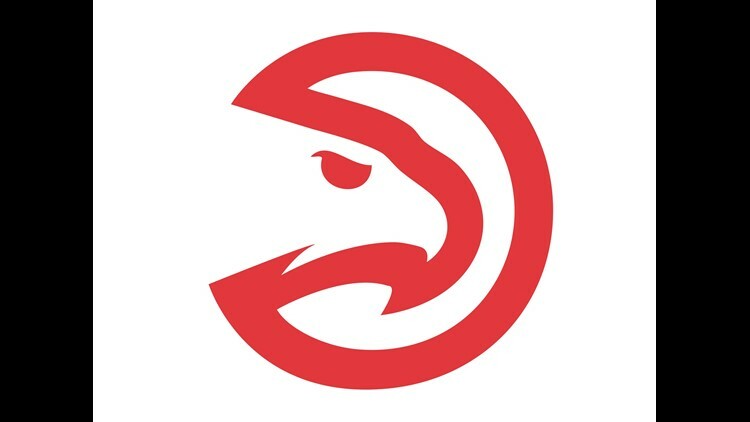 Hawks: Atlanta, rebuilding in hopes of getting a lottery pick, had no long-term answers on either end of the floor, but its defense was the biggest liability. After his team allowed 46 points in the first quarter and 73 in the first half, coach Lloyd Pierce called a timeout after his team pulled within two in third but left Lamb undefended on consecutive possessions that ended with a layup and a 3. The lead swelled to 11 a couple minutes later on Walker's 3, and Atlanta, despite pulling within eight of the lead midway through the fourth, didn't threaten again. Hornets: At Indiana on Monday. Hawks: Host Orlando on Sunday night.